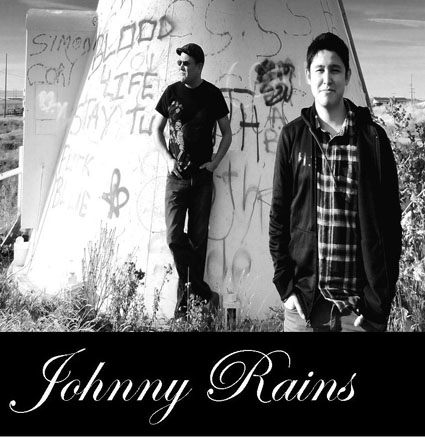 Johnny Rains is generally known as John Scout, a youth singer, song writer, lead guitarist and founder of the Johnny Rains Band. Born and raised in the city of Lethbridge, Alberta, John later moved in with his family on his late grandfathers ranch on the Blood Reserve. John graduated from Cardston High School in 2010. “In my earlier years at school, I learned that working is the key to success and that practise makes life easier. In elementary, I remember one summer, my grandpa Leo encouraged me to join mutton busting contests at the Kainai Fair & Rodeo, as well as in Cardston and Fort Macleod, I did and won trophies. That rodeo career didn’t last long. In my junior high years, I changed my career to skateboarding, in which I enjoyed and became good at crafting the technique to jump and flip a tiny board. I won awards in contests at the Lethbridge Skate park, my mentor at that time was pro skateboarder Roger Brumsma. In my earlier years, my grandmother Elizabeth, gave me a guitar for Christmas. At four years of age, I learned many Garth Brooks songs which I lip sang. Since that day, thanks to grandma, I never did put my guitar down, many careers came and went, but my love for music grew and is what I do best today”, John remarks in an interview with Blood Tribe Communications Magazine. John enrolled in band classes throughout his elementary and junior high years where he was trained in both strings and percussion. Vocals and electric guitar training were completed at home with his father. His high school years were filled with performing at numerous community events and talent contests where he developed his natural ability as a performer. 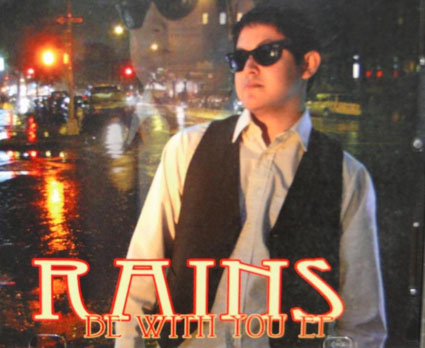 The Johnny Rains Band completed its first independent EP titled “RAINS - Be With You” with a release party on April 23, 2011. 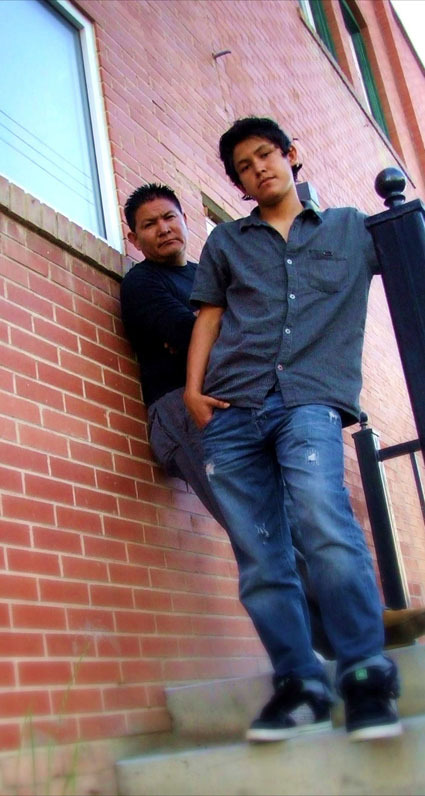 “This first album is in dedication to my late grandfather, Leo Day Chief, for courageously battling cancer until February 13, 2011. My grandpa wanted me to participate in the Aboriginal Peoples Choice Music Awards or rather wanted me to look further than reserve life. He did not realize that it takes discipline and focus. My goal for 2011, was to honour my grandfather with winning awards or recognition of my music as an ideal way of letting him go. With this in mind, I began to work quickly for the 6th Annual Aboriginal Peoples Choice Music Awards. 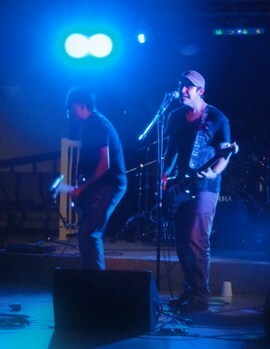 My first time sharing my music was a result of the first round of voting at a competition for the APCMA. I didn’t get discouraged instead I worked harder. I was recognized in my own province as a senior youth role model and went on to win an Alberta Aboriginal Youth Achievement Award for Walking The Red Road Category. Since my loss, I have dedicated my music career in support of the Canadian Cancer Society, as well as, a mentorship for the Youth Suicide Prevention Program. Joohn learned the history of Indigenous Peoples of Canada in the Kainai Studies Degree Program. 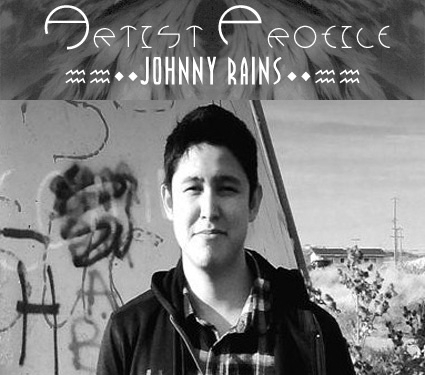 John has since been accepted to the University of Lethbridge Bachelor of Fine Arts Program for September 2012. “Graduating from high school is one of the many keys to success that opens doors for future opportunities and accomplishments” says John. MOVE FORWARD, EVEN IF IT MEANS TAKING TINY STEPS . . . THE ACCOMPLISHMENTS ARE ACHIEVED IN THE STRIDES AHEAD.